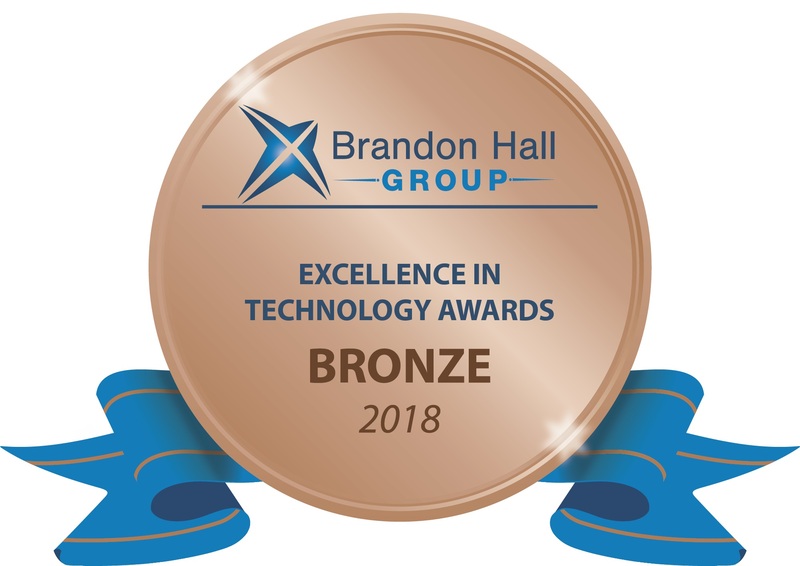 CRG emPerform On-Demand Forms awarded Bronze in 'Best Advance in Performance Management Technology for 2018' by Brandon Hall Group. OTTAWA, Ontario - Dec. 12, 2018 - PRLog -- RG emPerform, a leading provider of web-based employee performance management software, announced today that it has again won a coveted Brandon Hall bronze award for Best Advance in Performance Management Technology for 2018. CRG emPerform secured the recognition for the development of its On-Demand Form functionality that adds to the solution's robust feature set. The win was announced on December 5th, 2018. CRG emPerform's On-Demand Form functionality was released earlier this year and offers real-time, user-launched performance management forms on top of existing appraisal, 360, succession, feedback & compensation planning functionality. This unique and innovative feature puts the power of real-time performance management in the hands of employees and managers and is helping HR foster a culture of ongoing performance development, coaching and recognition. "The development of our On-Demand Form functionality was in response to the lack of truly flexible and ad-hoc options available in the performance management software market and has been a game-changer for many businesses who cannot rely solely on traditional once-a-year, HR-driven performance reviews," said John Smith, Director of Enterprise Business Solutions for CRG emPerform. "On-Demand forms are helping customers engage their talent in real-time performance discussions surrounding projects, development, and day-to-day accomplishments." With the addition of On-Demand Forms, CRG emPerform now offers one of the most robust and flexible performance management solutions available. "We are thrilled to receive this prestigious award from Brandon Hall Group and we thank the panel of esteemed judges for their efforts in evaluating all entries and for the validation this recognition gives to our product in the pursuit of new innovations in performance management technology," continued John. This is the fourth award for CRG emPerform, having also earned gold and bronze in the 'Best Advance in Talent Management Technology for Small and Medium Sized Businesses' category in 2013, 2015 and 2017. This win comes on the heels of being awarded the 2018 Great User Experience & 2018 Rising Star for HR Software By FinancesOnline. CRG emPerform provides the most flexible and affordable employee performance management software available. Since 2004, emPerform has been providing powerful technology and world-class guidance to help businesses simplify and automate performance reviews and transform performance management into an ongoing and forward-looking process. Included in emPerform is flexible online performance appraisals, online surveys, goal tracking, project-based reviews, compensation management, 360° multi-rater feedback, succession planning, compensation planning, reporting, year-round feedback, and new in 2018 is On-Demand Form functionality for agile and user-driven performance management.